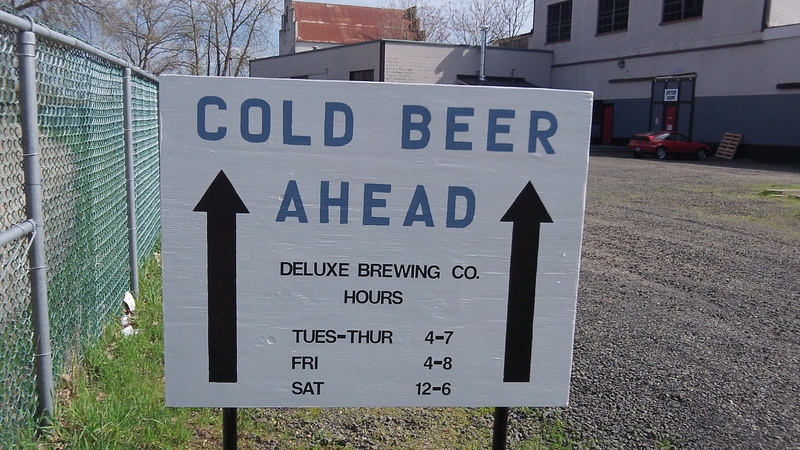 Continuing this path from Corvallis to Albany would be in the public interest. 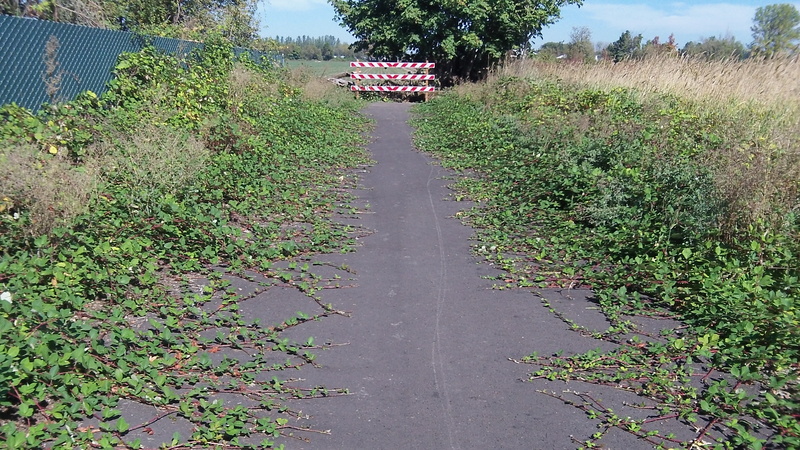 A dozen farmers oppose construction of the Albany-Corvallis Bike Trail, and they may be able to block it. They can keep fighting a conditional use permit Benton County is seeking for the path, and if that fails they can decline to sell any needed easements. The question is whether they really want to kill a project with benefits for the mid-valley for generations to come. The farmers base their opposition on fears that the path would interfere with farming. Exactly how? The assertions heard so far make little sense. Farmers might be sued if their machinery hurts a passing cyclist? How often would a combine or tractor have to cross that path, where? And if crossings are necessary, how about looking right and left before proceeding? Path users might object to getting sprayed with fertilizer? Well, unless cyclists are blind, they would see any spraying going on ahead of them. Being prudent, they would take care to avoid it. Farm vehicles would track mud on the path, leading to complaints? They track mud on roads already, and there are no complaints because winter rains soon wash he mud away. Cyclists would throw trash into the fields? Not likely, as people on bikes don’t usually carry enough stuff to throw away. Vagrants would use the path and cause problems? Maybe, but they can walk along the Union Pacific tracks and cause problems now. For most of its 5.5 miles between northeast Corvallis and Scenic Drive in North Albany, the path would not “cross” farm fields at all. It would be squeezed in between the railroad and the fields on the north side of the tracks. Judging by the planned location of the path and the habits of its likely users, a reasonable person would conclude that conflicts are very unlikely, and if problems do arise they can be solved. The opponents’ lawyer is Ed Schultz of Albany, an expert on land-use law who at the second of two public hearings this week raised technical and legal objections to the conditional use permit. If he and his clients want, they can kill the project by delaying it indefinitely with lawsuits and appeals. I hope they don’t. One of the big problems when folk try to do something new is that people tend to oppose change to the status quo. Choose your issue, and somebody will be afraid of change. Yet we as Americans regularly proclaim our admiration, dedication and pride in fostering innovation. Innovation is change. I dealt with trying to implement change for decades, and change is indeed hard. Eminent domain was NOT intended for use for “wouldn’t it be nice to have” projects. The Benton County Commissioners have already threatened condemnation if the farmers don’t agree. Taking private property for public use without prior consent is theft. It comes down to basic morality – is theft by local government right or wrong? The answer to freedom loving folks is clear – it’s wrong. Eminent domain condemnation isn’t exactly theft; as market prices are paid for the property in question. Forced sale may be a more accurate description. Okay, if you don’t like the generic term “theft”, then let’s call it “robbery” (the forceful taking of a person’s private property). One party’s notion of “compensation” is irrelevant when the exchange is involuntary and forced. Taking from private owners for public use by force is closer to theft than ‘forced selling’. In actuality, they take it because they can, and it is backed up by police with guns if it comes to that. My personal experience was when Pacific was redone back in the late 90’s. My father-in-law owned ‘Martin’s Feed and Seed’ and was forced to sell. They were lowballed so much that they had to hire a lawyer to represent their interests. It did not help much, and the end, they were given some money, but not nearly enough to move their business to another good location in town, where it would have had a chance of surviving. In the end, they had no choice, and my father-in-law was pushed out of business due to eminent domain, unwillingly. He went from being a self employed business owner to having to find a job and work for others. Fair market value doesn’t mean much when dealing with these situations. One basically has to take what the government says, regardless of what the land is really worth. But back to this issue. Would the county consider buying, in perpetuity, a liability insurance policy for all taken lands, so that if a farmer is sued that it would be covered? People do complain unreasonably (unlike you HH, who I very much admire, and wish all were as well reasoned as you). Folks are not allowed to smoke in public parks due to wafting chemicals. Is it that far-fetched to see folks complaining about pesticides or herbicides from farming drifting into their path on a public-use, park like lane? I don’t think so. I wonder if there can be some sort of mitigation that would make it more of a win/win. I am not sure what the government could offer, and there still would be change for the farmers. Could the path provide access to a seasonal retail destination(s) at the farms? I’d be curious to hear what folks might come up with. I would certainly ride from Corvallis to shop at farm stands on the path. A quiet, bucolic “bicycle strip mall,” compared to the grotesquely ugly, depressing, and dangerous Pacific Blvd. People from Albany, with fewer grocery choices, would be even better off since it’s not so far to ride. Other appropriate fair-weather businesses like snacks and bike service might be attracted – a low-starting-cost entrepreneurial opportunity, or just extra marketing presence for established businesses. The Benton County govt. would probably see fit to waive whatever dumb rules are in the way, since they invested a lot into the path already. Of course, farmers along the path would benefit from renting out space. Might also help downtown Albany business. I personally think that Albany’s downtown is more appealing than Corvallis’s, but seldom go there because of the dangerous and unpleasant ride (don’t own a car and don’t like buses). I am not sure if this would replace the financial benefit of what the land might otherwise produce, but it would help diversify the income. Apples, pears, carrots, berries, and other easy to carry and eat farm produced foods. Motion activated misters on hot days. Events: Small clothes-line art sale, music, farmer’s market, kite flying, bike demo rides, cyclocross. An unforeseen problem may be cars parked at the path entrance. Has a map of the proposed route been published anywhere? I for one would be interested in seeing just how the route is planned and whether or not it cuts through and separates pieces of agricultural land. If the ENTIRE route follows along property lines there shouldn’t be much of a problem. If not it seems to me that Benton County has given no consideration to the farmers. If the county could force someone to sell their property, why not force Union Pacfic to sell the right of way along the railroad tracks they originally wanted to use under eminent domain?